The cons of moving your car overseas are mainly cost related. If your employer doesn’t pick up the removal costs for your belongings and your car, the sums involved are large. Depending on your country of origin and the country you are moving to, there may be an import tax slapped on your car, the moment you set foot across the foreign border. Your car will be impounded if you do not pay the customs and duty officer at the border patrol. 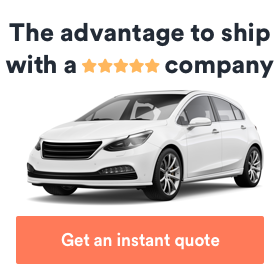 Even if you let a shipping agent or car shipper deal with all the export and import paperwork, the hassle is enormous and you will have to think of all the eventualities. What happens if the car is delivered late and you miss an important appointment in your new foreign job? What if damage occurs – will the car shipper play nice and pay up for any repairs? Moving your car overseas doesn’t just involve the physical move of getting your vehicle from A to B. Once it is there, it has to be road taxed according to the local regulations and it has to be roadworthy according to their legislation, too. You might have to pay out for all sorts of inspections, maintenance and repairs prior to leaving or handing over your car to a shipper – only to find that other end there will be another inspection and fitting of things that are required in the new country. All this adds to the cost. Many car shippers want to be paid upfront or at the very least a hefty deposit. Adding this to the costs of air tickets, excess baggage, renting a new place abroad and the deposit this requires, any storage you might have to pay to house your belongings in your country of origin and any other incidentals that add to the cost of moving abroad. Your next payday might feel like light-years away. Finding the money for shipping your car overseas will not be easy, unless you sell up everything else and just keep your car and a change of clothes. Even in the best of worlds accidents happen and your beautiful classic car or collector’s item might turn up in the new country looking less than happy. 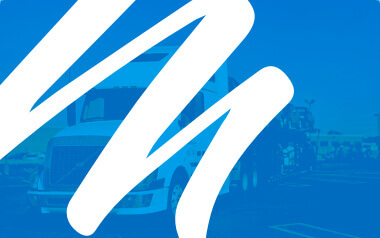 Even if your shipper agrees to pay for the damage that occurred during transit – at that time the vehicle is covered by the shipper’s insurance – the actual repair work may be lengthy and difficult, if not impossible, if the new country doesn’t have a network of garages dealing with your type of classic car or older model. In conclusion, it will be necessary to carefully weigh up the costs of moving a car overseas versus buying new or second hand in the other country. People should not forget adding the cost of any additional insurance and road tax as well as any import tax they might have to pay. Even if some of these costs are refunded either by governmental bodies within the EU, if that’s where you are moving to or from, or by an employer who’s paying for your move, the outlay will be considerable and you should weigh up if your current car is really worth all that hassle and expense. While moving one’s car overseas might be appealing with regard to creature comfort and having transport immediately, it is expensive. The Winter is Coming and You are Moving!